Arcade games aren't just something from the past. In fact, thanks to the internet and new technology you can now enjoy a huge range of free games including retro arcade games, puzzle game, sports, free card games, and much more. You can even enjoy arcade slot machines and casino arcade titles for real money if you prefer. On our site, you'll find everything you need to know about free arcade games, sports arcade games, puzzle games, racing games, retro games, and more. If you're a fan of old-school titles like Space Invaders and Pac-Man, then you'll love what we have for you. You can play everything from pinball to sports simulation games and relive your youth without the need for quarters. Enjoy some good, old-fashioned arcade fun today on your computer, smartphone, or tablet. Retro Arcade Games: You can play these classic games online and on your mobile. Titles like Pac-Man, Tetris, Asteroids, Donkey Kong, Frogger, Galaga, and much more. Arcade games have never looked better and you can see the full list in our retro arcade game category. Shooting Games: If you're a fan of shoot'em up arcade classics like Space Invaders or Centipede you can now play these online for free. In this category, you'll find the best shooting games from video arcades and consoles from years gone by. You get to control the gun, spaceship, or whatever it is while dodging attacks. Check out the full list of titles on our website. Fighting Games: Fancy some retro arcade fighting games, then this is the category for you. We have some best free arcade games including Mortal Kombat, Street Fighter, and more. Platform Games: Platform games were all the rage in video arcades and now you can play them online too. In these games, you get to jump and run and collect things. Think Super Mario or Sonic. There are lots of great titles to choose from including Donkey Kong, Prince of Persia, Manic Miner, Bubble Bobble, and more. 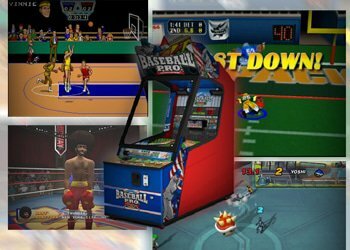 Sports Arcade Games: These retro style games are perfect for sports fans. They include racing, football, tennis, and any other sport you can think of. We've got all the best titles from the 80's and 90's including Best League, Pong, OutDrive, and more. Puzzle Arcade Games: This category features hundreds of great puzzles that will have you addicted. You can pick from lots of different types too. There are funny puzzles, serious ones, strategy based games and more. There are simple challenges and hard games to test your brain. Puzzle types include jigsaws, sudoku, physics-based puzzles, and more. You can also solve mysteries, match gems in Bejeweled, and prove your mental prowess. There's something for everyone in the puzzle arcade games section. Casino Arcade Games: In this category, you'll find the best games to play for real money. This includes arcade slot machines as well as card games. Most of the best online casinos today have an arcade games section the casino arcade is the place to go for some serious fun with the potential to win real money. In many cases, you can even play for free using demo versions of the game and with casino bonuses such as the no deposit or free spins offer you can play risk-free and win real money. How great is that? Be sure to check out our casino arcade reviews and bonuses for more information on this. Online arcade games are based on the games once found in classic arcades. These games are usually 2D and simple to play. Classic retro arcade game titles like Pac-Man and Space Invaders fall into this category. There are lots of different types of arcade games you can play too. Some are fighting games, some focus on dodging obstacles, and other focus on scoring points. It doesn't matter what type of game you are looking for, you'll find arcade games online to suit all tastes. Best of all, there are free arcade games too so you can try as many as you like. Double Dragon: Help fight hundreds of nasty gangsters in this timeless arcade game classic. Street Fighter 2: For a more one on one approach to fighting this game is a must. Wrassling: This is a wrestling game. Super Mario Crossover: Great for players who enjoyed the original Super Mario Bros game and want to try playing as a different character like Samus, or Mega Man. Koopa's Revenge 2: Play Super Mario from the enemies viewpoint in this arcade game. Galactic Gems: A great match 3 puzzle arcade game. Geometry Dash: A survival arcade game. Fly with Rope 2: Another simple one button survival game. We have information on hundreds of great arcade games that you can play on PC and mobile. 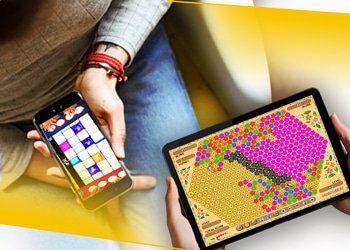 Enjoy the action in your browser as well as find arcade game apps for Android and iOS mobile and tablets. You can play all the best retro arcade game titles in your browser with no need to download anything. This includes arcade games from consoles such as Nintendo NES & SNES, Sega Master System & Genesis, and many more. Find out all you need to know on our site and whether you want free arcade games or casino arcades where you can play for real money we have you covered.